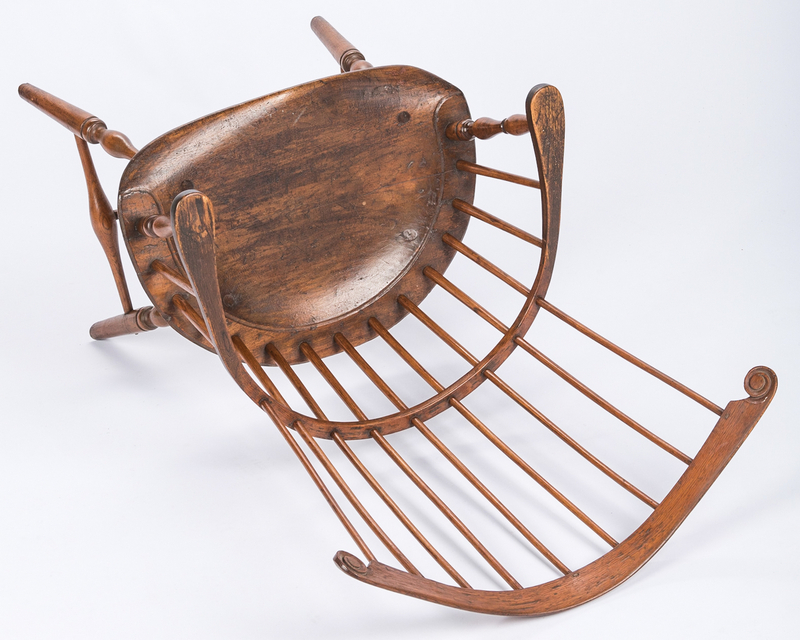 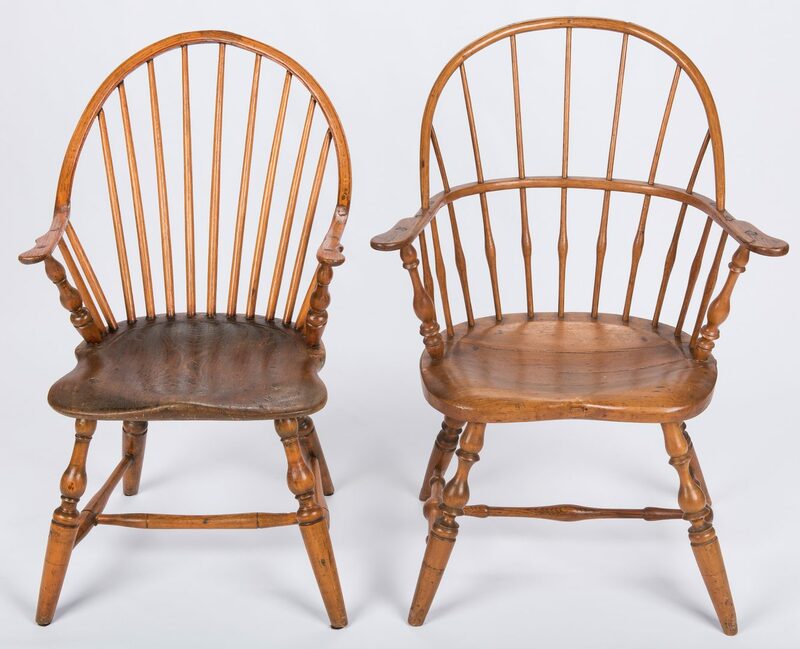 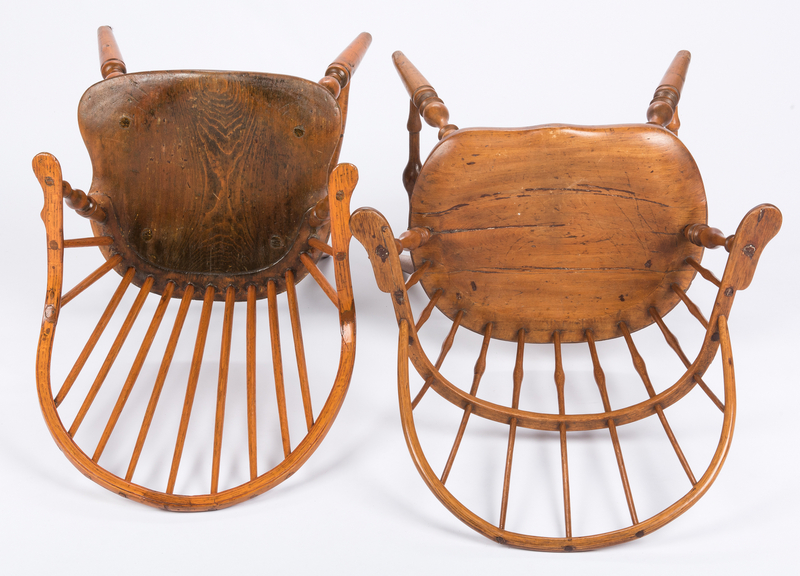 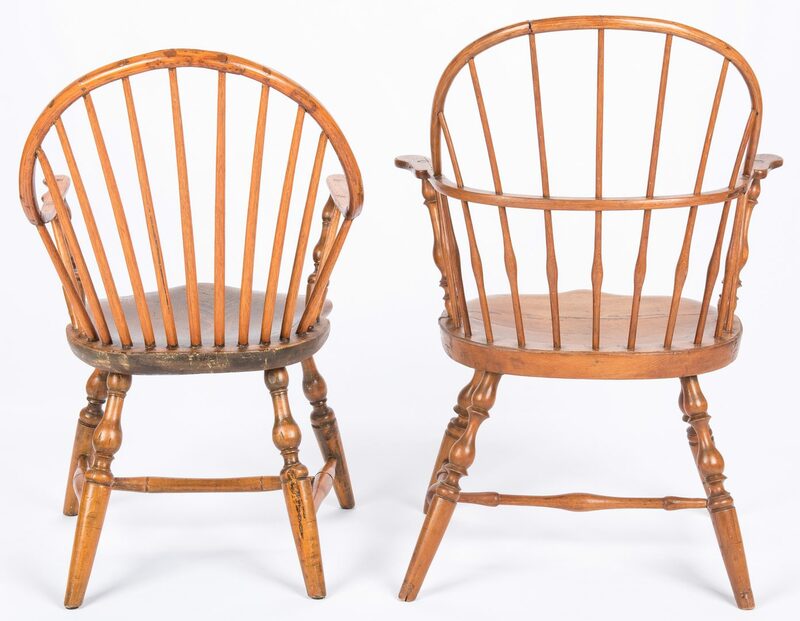 1st item: Signed windsor comb-back armchair, comprised of mixed woods, topped by a serpentine curved rail ending in scrolls, 9 back spindles intersected by a center rail terminating as arms with flattened curved handholds. 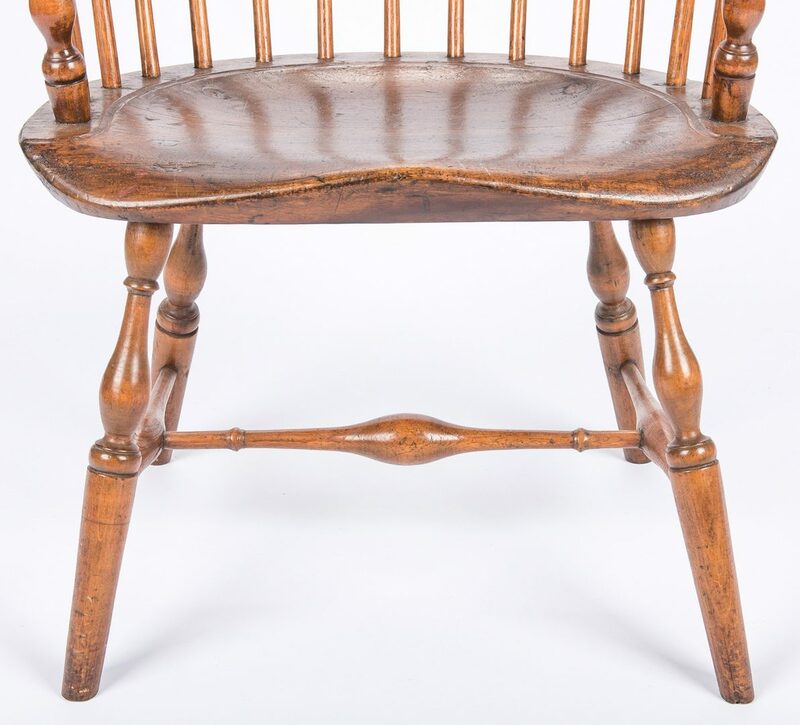 Arms supported by vase-turned baluster and short spindles over a shield shaped seat. 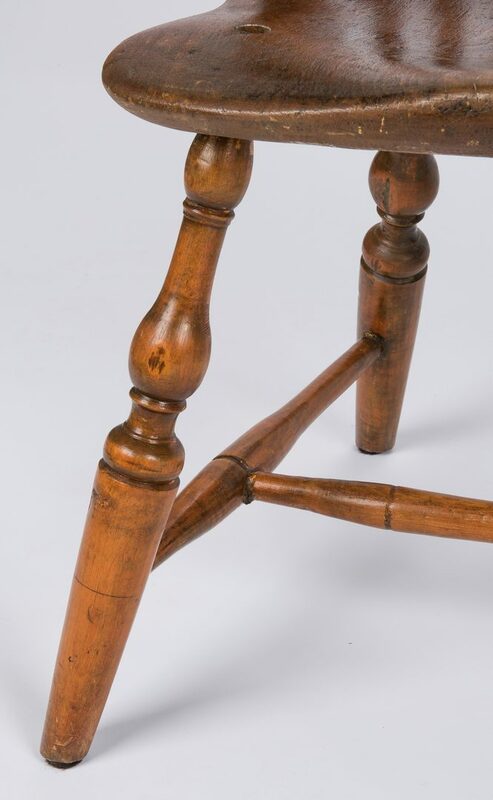 Ring and vase turned legs with central turned stretcher. 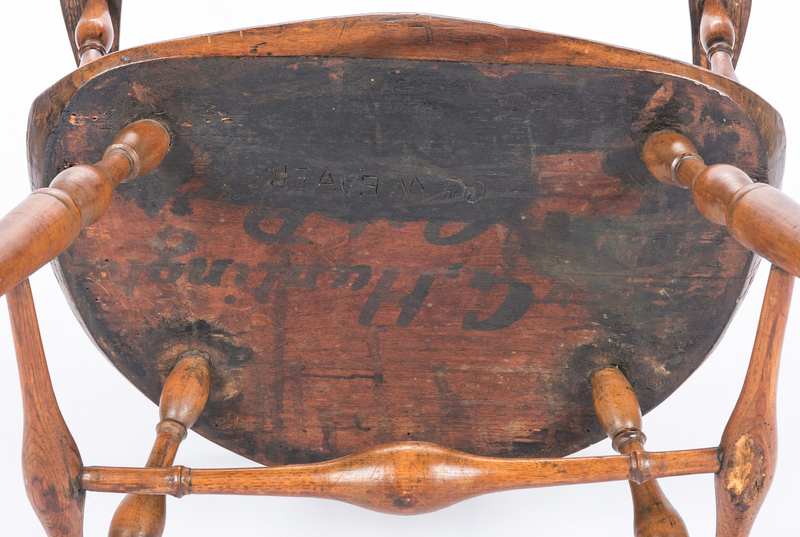 Underside of seat incised "A Ch Weaver" together with the painted name "G. Huntington". 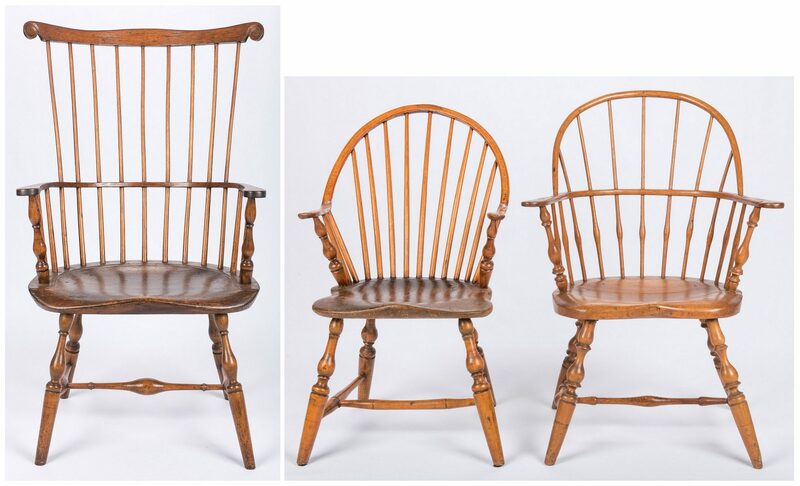 42 1/2" H x 24 1/2" W x 17" D. Late 18th/Early 19th century. 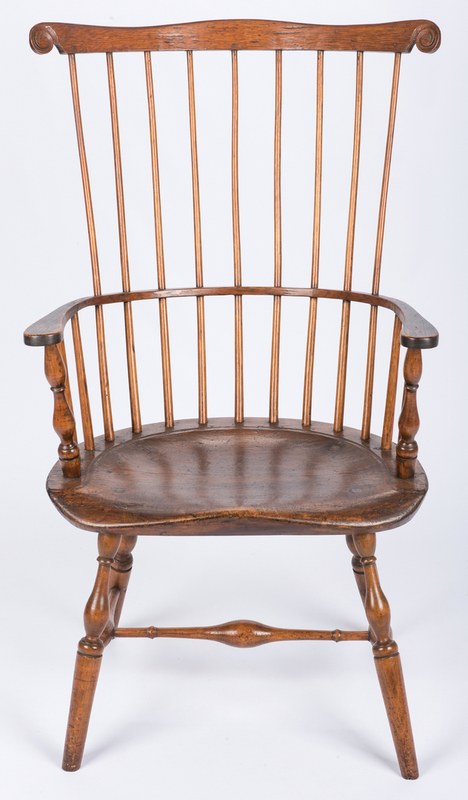 2nd item: Windsor hoop back armchair, traces of old green/black paint to underside of seat and crest. 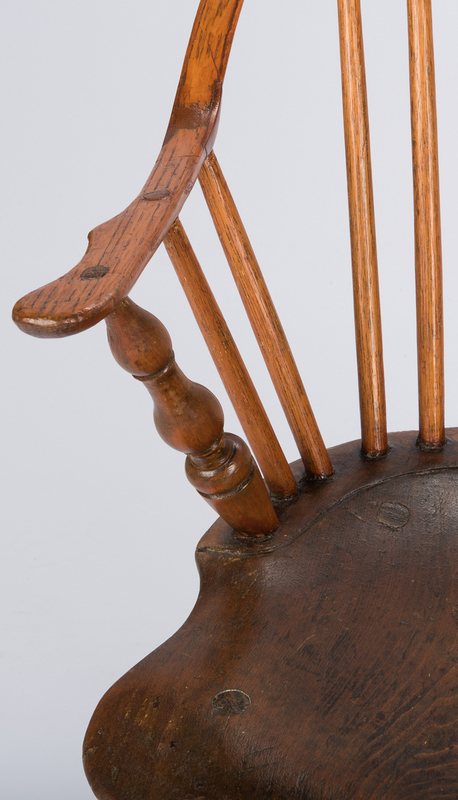 9 back spindles intersected by a center rail terminating as arms with flattened curved handholds. 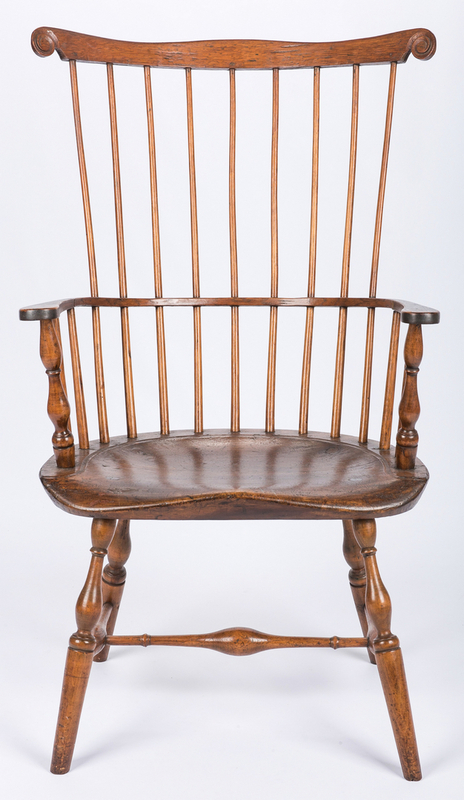 Arms supported by vase-turned baluster and short spindles over a shield shaped seat, bamboo turned stretchers. 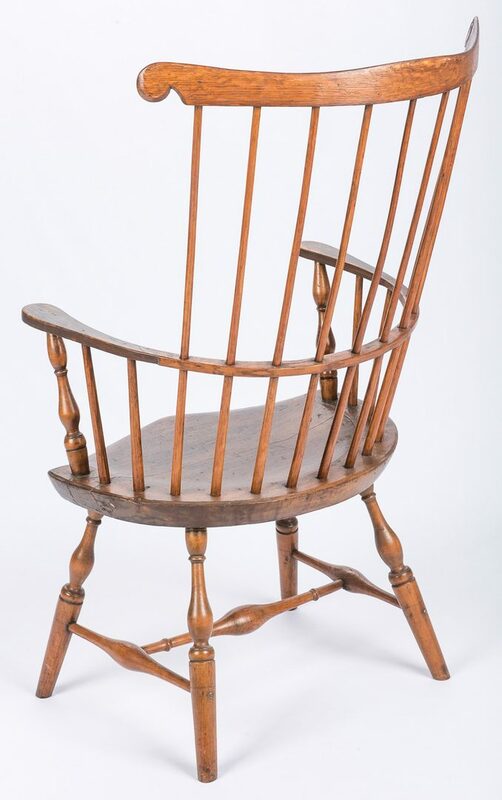 34" H x 20" W x 23" D. Probably Pennsylvania, early 19th century. 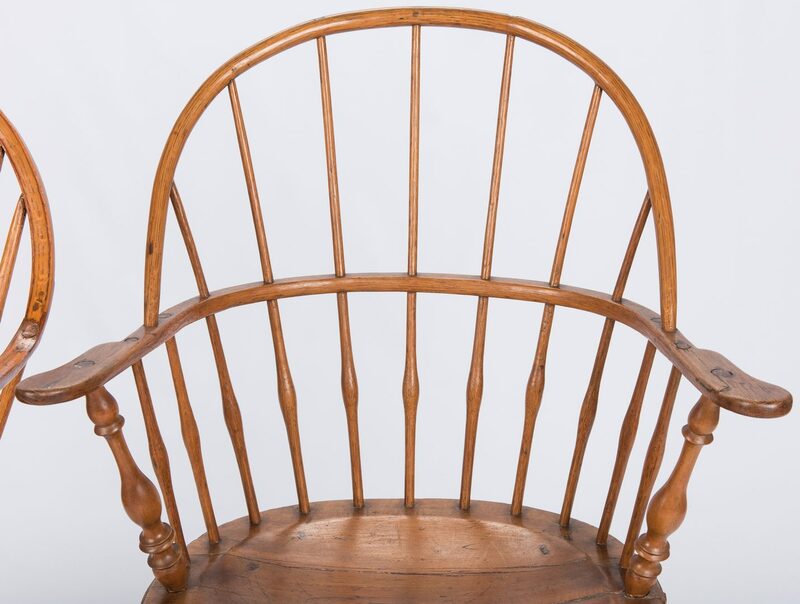 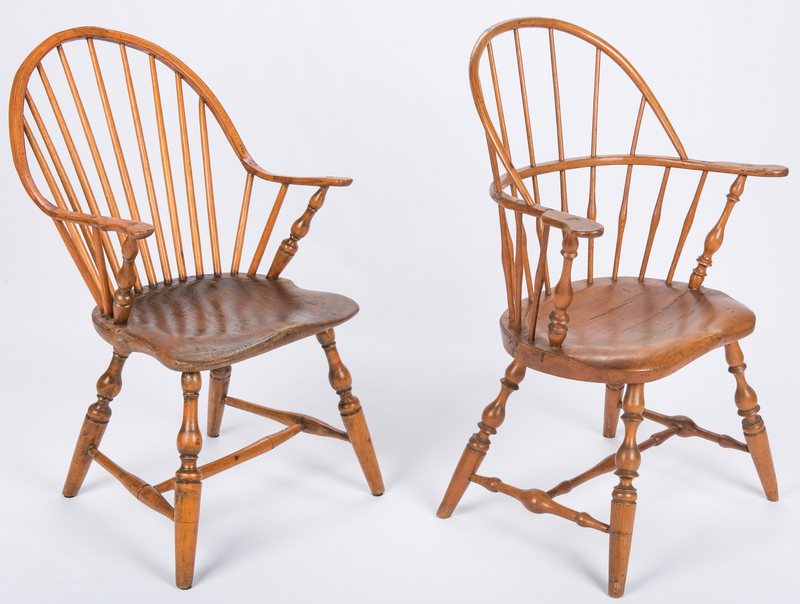 3rd item: Windsor hoop back armchair, 7 back spindles intersected by a center rail terminating as arms with flattened curved handholds. 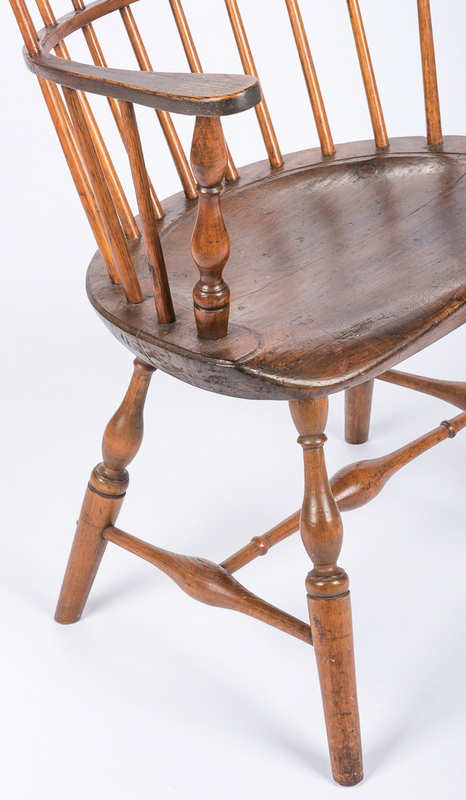 Arms supported by vase-turned baluster and short spindles over a shield shaped seat. 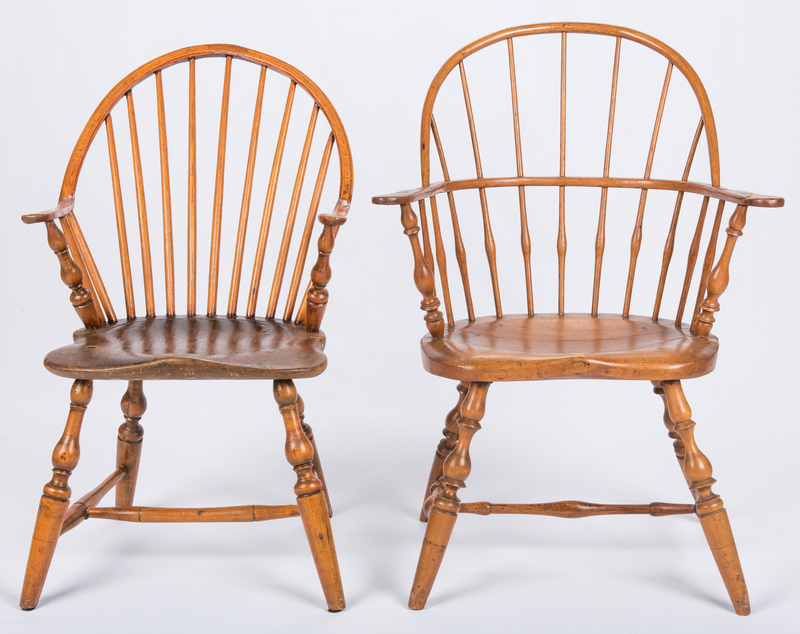 Ring and vase turned legs with central turned stretcher. 36" H x 19 1/4" W x 15 3/8" D. Probably Pennsylvania, early 19th century. 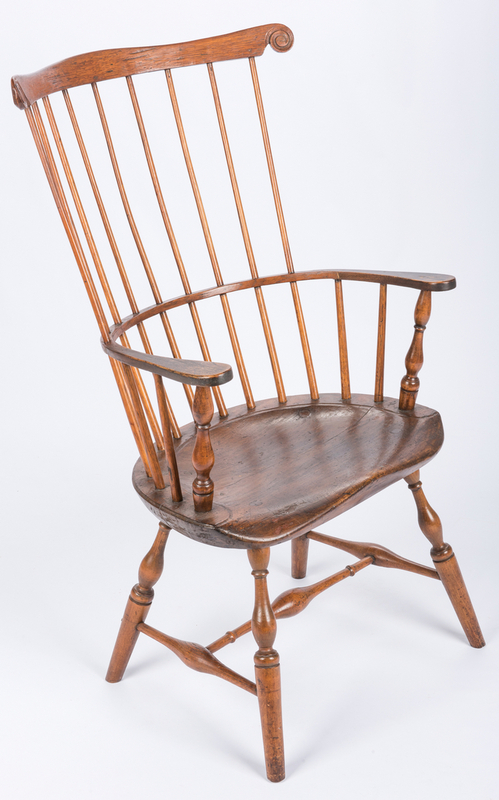 Provenance: Estate of Glen and Marjorie Stewart, proprietors of The Keeping Room, Augusta, Georgia. 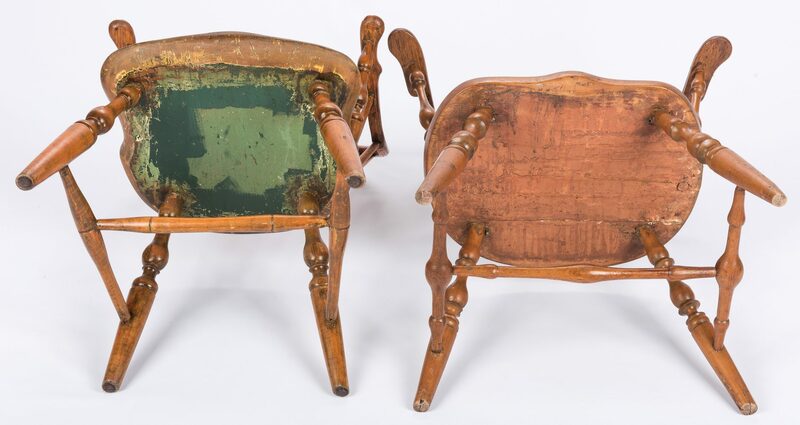 CONDITION: 1st item: Front armrests replaced; pins reinforcing stretchers on rear legs; overall general wear and scratching, especially to the seat. 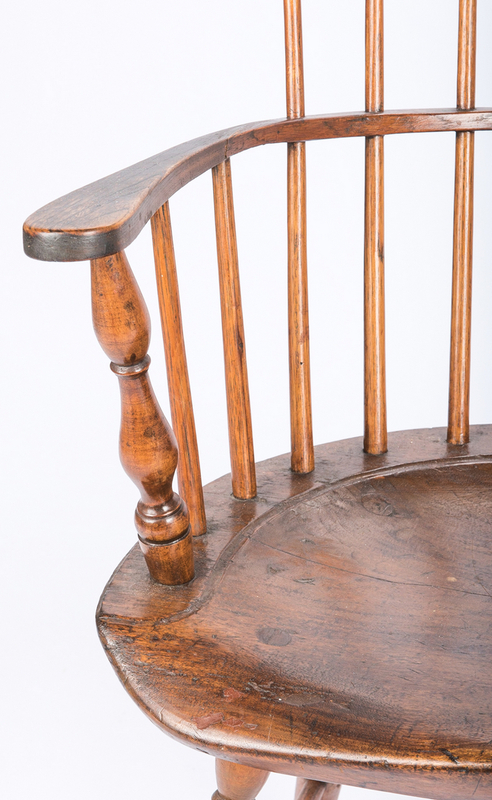 2nd item: Repair to crest rail, repair to each arm, 2" gouge to one rear leg. 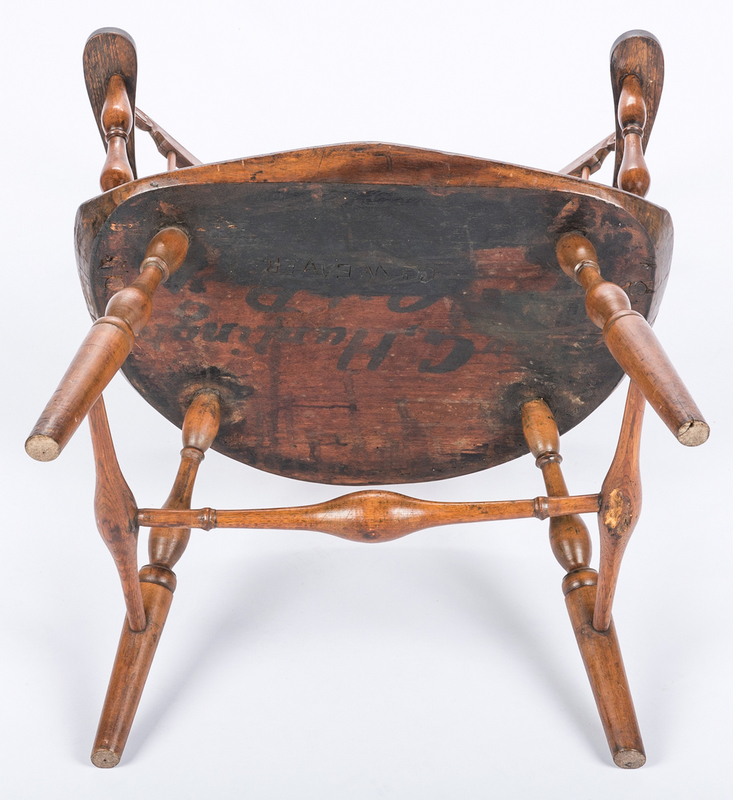 3rd item: Overall general wear, shrinkage cracks to seat. 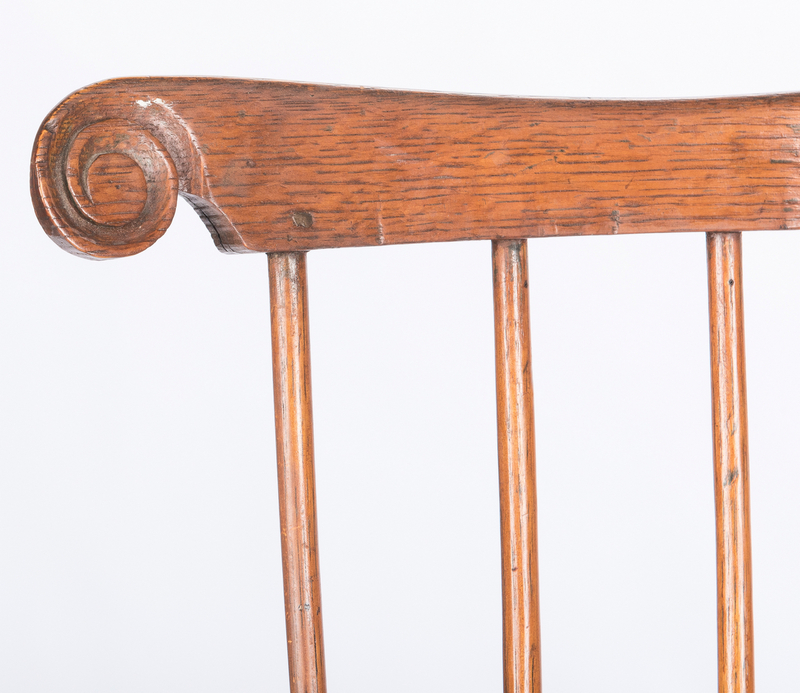 Shrinkage around arm pegs, with cracks to left arm. 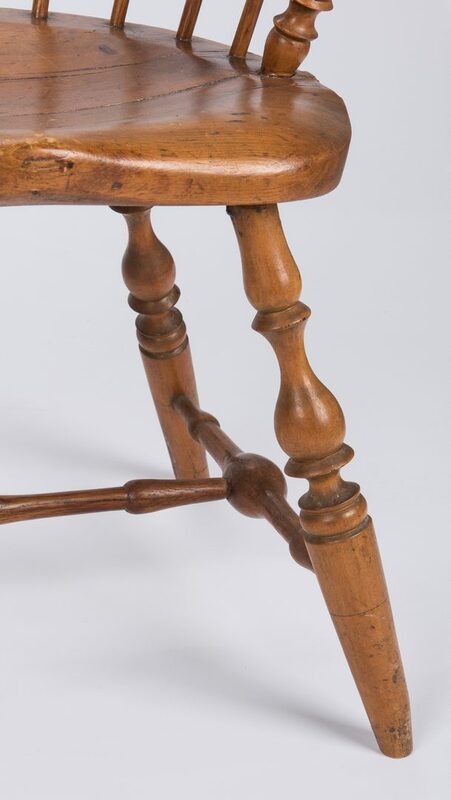 Wear and losses to legs.